A one-off Bentley Bentayga Mulliner luxury SUV will make its public debut at the Geneva Motor Show. The marque’s in-house personal commissioning division, Mulliner, has applied its craftsmanship to the Bentayga in creating the new flagship model. 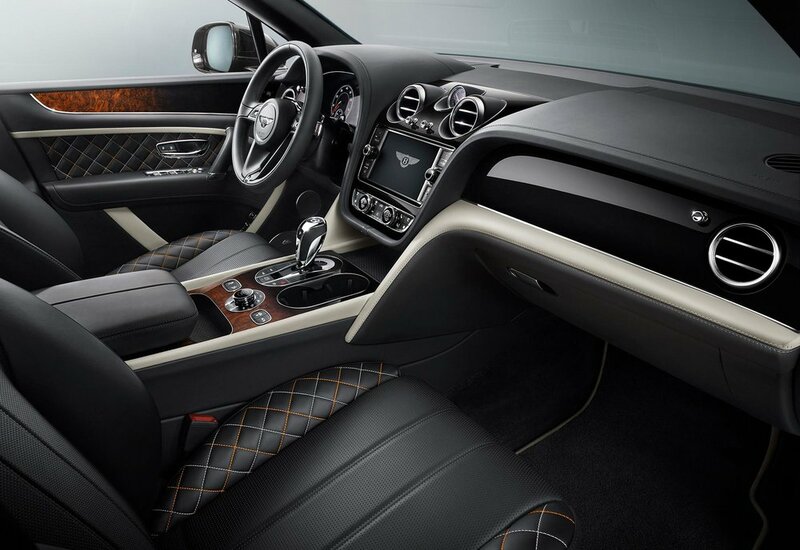 New interior and exterior features include a Duo Tone paintwork, unique 22” wheels, Mulliner Bottle Cooler and a new veneer concept. Powered Bentley's a 6.0-litre, W12 engine with 600 bhp and 900 Nm or torque, 0-62 mph takes 4.1 seconds and top speed comes in at 187 mph. The optional Duo Tone paintwork for the first time on Bentayga, and will be available across the range from April. The new Mulliner 22” Paragon seven-spoke wheels with floating wheel centres, unique exterior badge, and the addition as standard of body-coloured lower bodywork and bright chromed lower bumper grilles, complete the exterior enhancements. 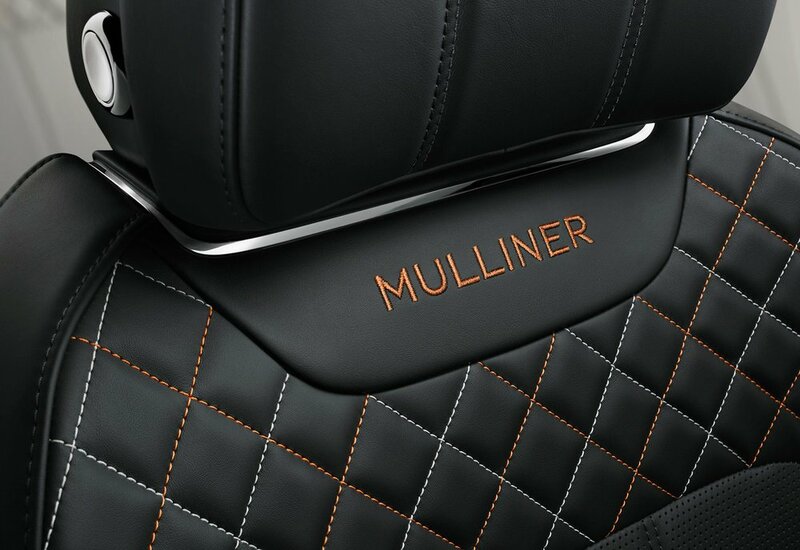 On the inside, Mulliner has combined traditional and modern coachbuilding design, says Bentley, with an interior colour split – the front and rear seats are finished in different hide colours and offered in seven colour ways. The hand-stitched hides are finished with unique ‘Mulliner’ embroidery and contrast stitching. 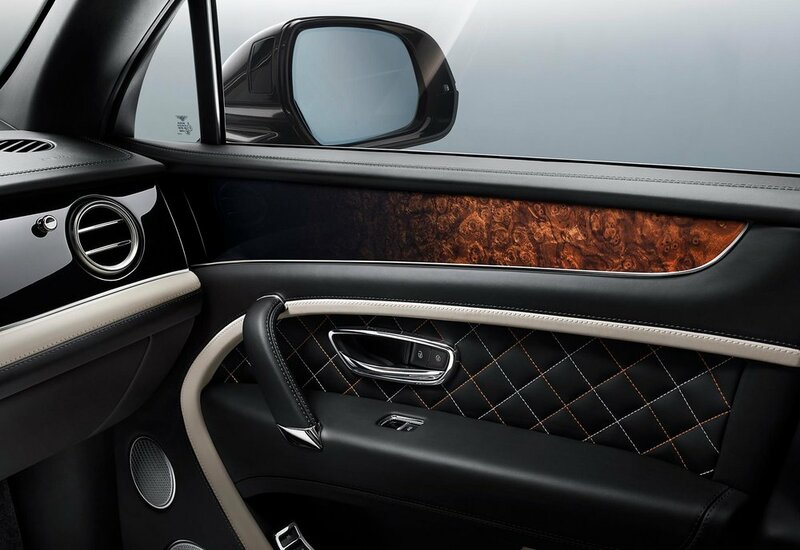 The one-off model will also feature a unique inlay to the front fascia depicting the Monte Rosa mountain range in ‘exquisite hand-crafted marquetry’. 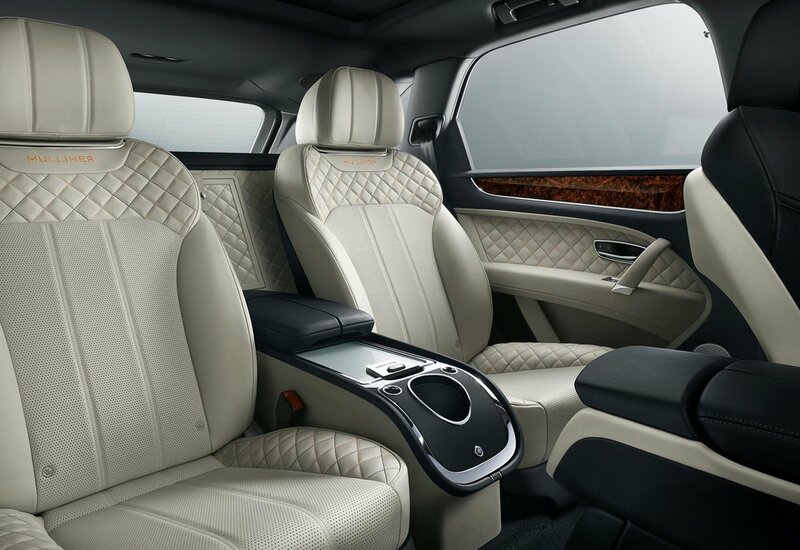 Bespoke Mulliner features include a new Bottle Cooler in the rear of the cabin, featuring an illuminated chilling cabinet and bespoke Cumbria Crystal flutes, all integrated into the rear centre console. Ombré Burr Walnut Veneer is introduced, showcasing a ‘unique’ wood transition from Black through to Burr Walnut as the veneer wraps around the interior while a special veneered panel replaces the standard central console fascia. Mood lighting, comprising of six different ‘moods’, together with illuminated Mulliner tread plates and Bentley LED Welcome Lamps create a 'luxurious night-time ambience'. A ‘My Mood’ setting allows occupants to choose from 15 different colours, while also adjusting the brightness in doors, armrests and footwells. A Naim for Bentley Audio system is the ‘most powerful, highest quality audio system in the class’ and includes twenty speakers driven by a 1,950-watt, 21-channel amplifier. A remote-controlled Parking Heater function allows the vehicle interior to be heated or cooled when the engine is switched off, while electric rear window blinds and a double sun-visor are also available with the Sunshine Specification. The Touring and City Specifications enhance the suite of standard driver assistance features which includes Park Assist, Lane Assist, Adaptive Cruise Control, Traffic Assist, Night Vision and a Head-Up Display. An optional Linley Hamper by Mulliner, complete with refrigerator, bespoke fine Linley china cutlery, crockery and crystal glass, and storage area for dry goods can be specified - and for comfort in the great outdoors, sections can be removed and used as seats. Finally, a bespoke mechanical Mulliner Tourbillon by Breitling clock is available as an option and features 196 individual pieces and is automatically wound periodically by a ‘dedicated high-precision winding mechanism’ within the car. Machined in solid gold (customers can select from yellow, white or rose gold) and decorated with eight diamond indexes, there is a choice of either a mother-of-pearl or black ebony face. Produced in very limited numbers due to what Bentley describes as the ‘highly complex, handcrafted nature’ of the Mulliner’s luxurious interior - the new flagship model will be available to order in Spring 2017.